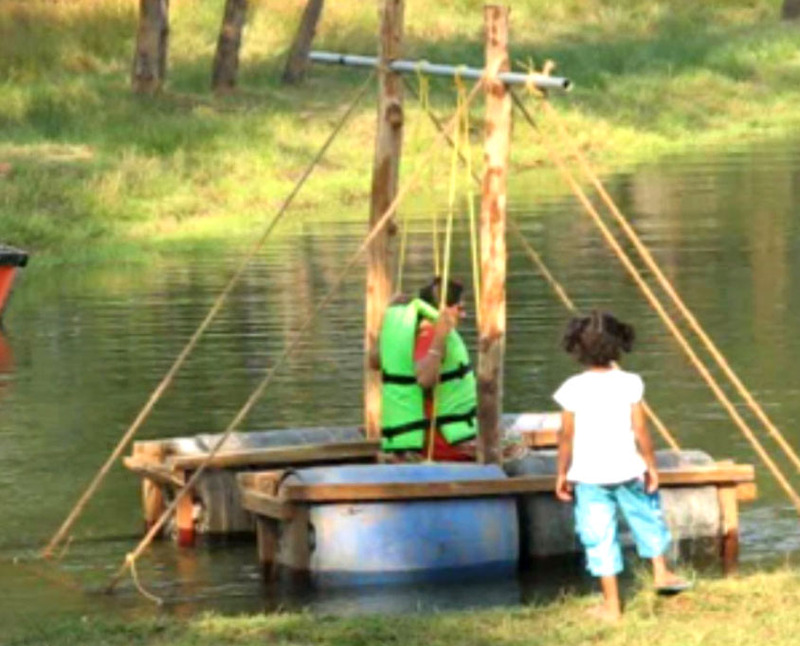 Majali Beach Village offers recreation facilities like boating, fishing, kayaking, pedaling, a swing on the lake etc. Cruises to the Tilmati Beach, with its unique stretch of black sand, trips to the islands nearby, dolphin watching, river cruises, rock climbing, visit to ship wreck, bird watching, and much more. The 4 seat speed boat is fast, wild and a great fun for all ages. This high speed boat trip is an extravaganza not to be missed. With great value for money this ride gives our entire guests the luxury ride off into the Sea. The two seat spot scooter ride in Karwar is very demanding; tourists from the country and overseas come to Karwar to enjoy water sports. This adventurous sport gives tremendous thrill to the tourists to feel the softness of the sea. Banana boat is a completely fun filled activity. This boat is tied to a speed boat and pulled by it. The interesting part of the banana boat ride is that it tosses away the seated adventurer as soon as it catches speed and ventures upon to cross the sea making a thrilling group activity. Snorkeling is another popular adventure activity in Devbagh. This is one sport which does not require the guest to be a trained and is as much fun for a novice as it is for a professional. Guests get to peak into the beautiful under water experience. Dolphins are one of the most-loved creatures of the marine world. These extremely intelligent and playful mammals will delight every visitor with their antics as they play and feed in the wild. Kayaking is the most popular eco friendly sport of Karwar. The novice can try kayaking in the lake where as the professionals can use the sea for kayaking. This sport provides the best opportunity for sports lovers to come close to nature. The 30 min boat trip to the beautiful natural black Tilmati beach is breath taking. The beach is filled with natural black rocks and black sand making an ideal location for couples for a lovely romantic moment. One can enjoy a fantastic and thrilling experience in our fishing tours in Karwar. The beautiful meandering lake inside the resort and the vast open sea makes up an adventurous fishing tour for all our guest. The hot favourite catches vary from the silver fish to a variety of prawns. The resort is filled with all fun activities like large snake & ladder, beach volley ball, adventure activities, floating swing at the lake, carom board, disc throw, cricket, foot ball etc.